Why the date 1919? The fighting finished with the Armistice in November 1918, but the war didn’t end officially until the Treaty of Versaille in 1919. So legally, we were at war until 1919 – some consider that all memorials should say this date. 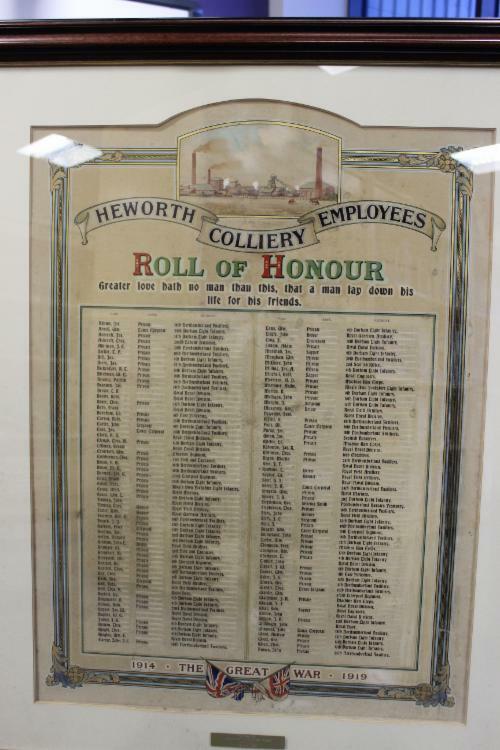 This is a framed paper list of those Heworth Colliery employees who lost their lives in World War I.